Your experience will last roughly 2 hours. Come prepared to learn because you do NOT need any previous experience. 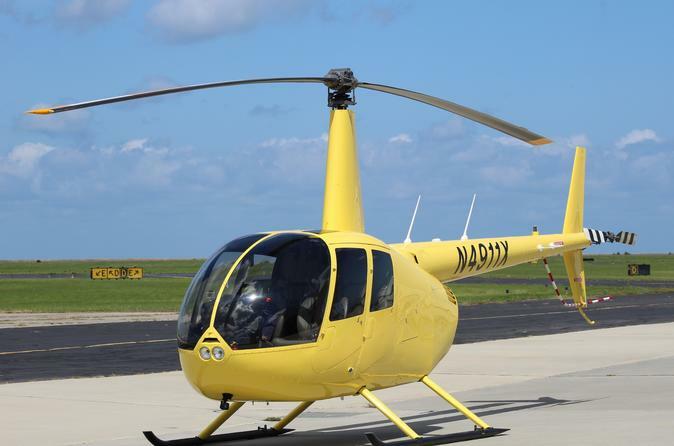 Our instructor will take you from the classroom to the helicopter to the cockpit and be with you every step of the way. If you'd like a little extra, or as we say in New Orleans, lagniappe, go for the $99 add-on and get extra flight time and a demonstration of an autorotation.